This article is part of Hindu Stories series on the blog. 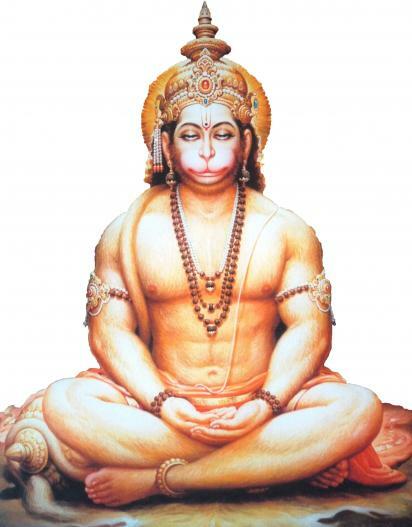 Hanuman believed that he was the greatest bhakt, or devotee, of Bhagavan Sri Ram. He was proud about it. Bhagavan Sri Ram cleverly helped Hanuman in dropping the pride and mitigating the ego. After returning to Lanka carrying the Sanjeevani Mountain, Hanuman approaches Bhagavan Sri Ram and tells him that he realized that the entire episode was a leela of Bhagavan. It was meant to remove his pride of Ram Bhakti. Hanuman realized the folly of thinking that he was the greatest Ram Bhakt when he met Bharata, the brother of Bhagavan Sri Ram in Ayodhya. Bharata had mistaken Hanuman who was flying with the mountain to be a demon and shot him down. When Bharata realized his mistake, he did not call the physician nor did he search for the sanjeevani booti. All he did was he prayed to Bhagavan Sri Ram. If I have totally surrendered my mind and body at the feet of Bhagavan Sri Ram, then please use my unfathomable devotion for you to save Hanuman. As Bharata completed his prayer, Hanuman stood up chanting Sri Ram, Jaya Shri Ram. Hanuman then told Sri Ram, that I take your name always but I did not have the kind of belief and trust that Bharata had in your name. If I had that kind of trust, I would not have gone in search of the Sanjeevani Booti to save Lakshman. A mere chanting of your name would have saved Lakshman. Desire filled prayers go unanswered but unwavering devotion is always rewarded.